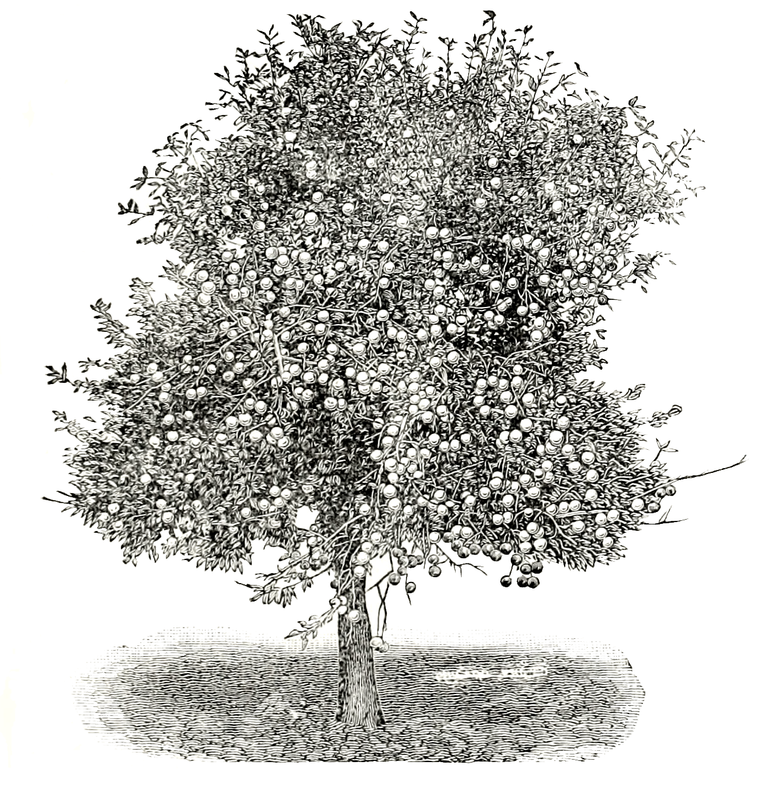 I’m not sure that I’ve ever seen a tree with quite as much fruit as this vintage apple tree has, but, it is a wonderful vintage tree drawing. The variety of apple was identified as winter banana. It was introduced in 1890 and appeared in a catalog from River Raisin Valley Nursery; a firm that primarily sold fruit trees and plants. I was tempted to colorize this vintage apple tree drawing for you but the name of the tree changed my mind. Apples come in so many different colors other than red, it seemed I should leave it up to you to decide. Of course, you could leave it black and white; it would still add a lot of drama to your project. This is a wonderfully, large illustration. When printed, it covers the entire page. It would be great to use as a therapeutic coloring page. Just click on the apple tree drawing above to access the biggest and best version of it. If you are looking for drawings of apples and other fruit images, you can find them both among our vintage fruit drawings.